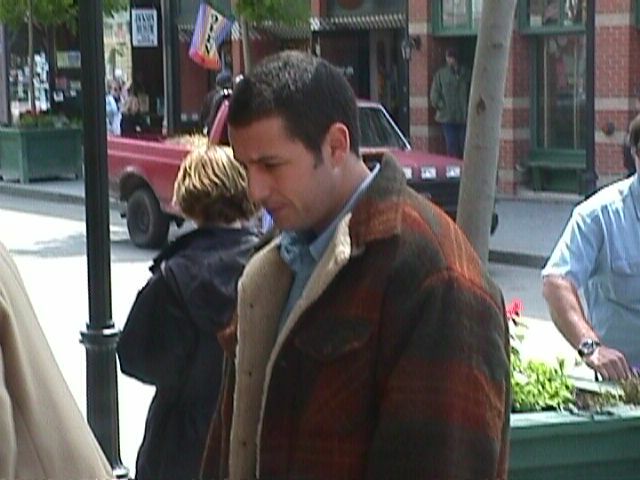 Adam Sandler, Winnona Ryder - Welcome back anytime! DEEDS PIZZA aka: CHARLES BISTRO- top shelf restaurant, turned pizza parlor( right down to the ovens!) for the movie. Curtain Call for RED CORVETTES! It was a Vette lovers dream come true! 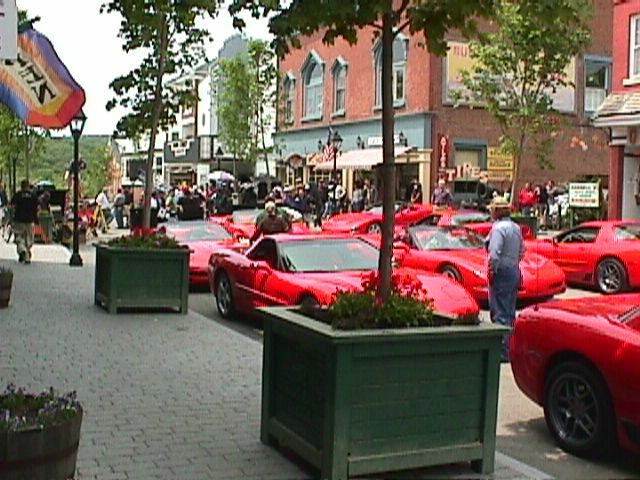 Oodles of Corvettes, sharing only one thing in common- their red-ness!! Shades varied but that was ok! MR.DEEDS gives them out as presents in one of the scenes. pics were takin by myself for the most part, however I did steal the ADAM pics directly from the New Milford.org site! Various businesses on Bank Street changed names and faces for the movie. The Jewelers became a drugstore. The Drug Store is a Feedstore, the Insurance Company repairs leather boots and does shoe repair. Our newspaper is still the newspaper, just with a different name!. Local Auditions were held May 19th - however they didnt call me personally so I didnt go! "DEEDS" IS COMING TO TOWN!! legendary movie,"Mr Deeds Goes To Town." Plans are to use 2 streets in town, depicting to different scenerios. If your visiting BoneyMaroneyland during the filming, please follow the de-tour signs! More on this as it transforms. We can look forward to seeing our scenic little town on the motion picture screen next summer. 2 weeks of filming for 10-15 minutes of glory!